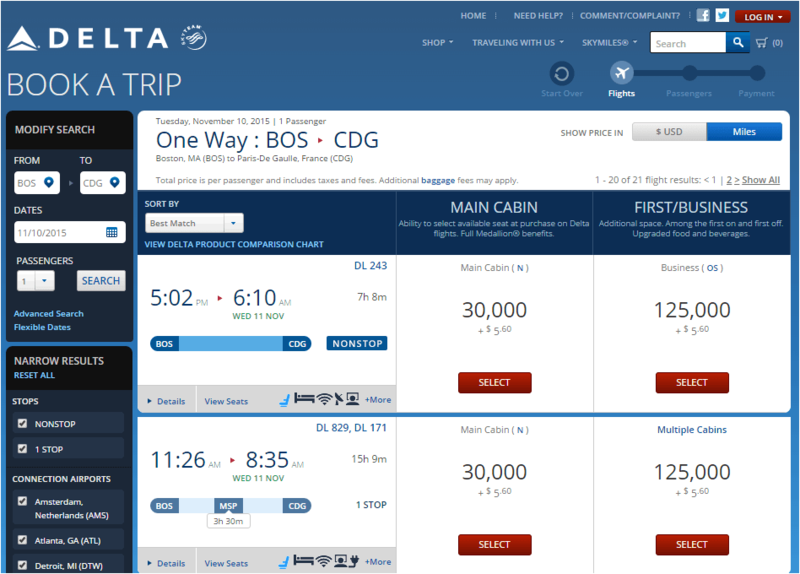 Delta’s free open jaw on round-trip award tickets will allow you to see more while paying the same price in miles and cash. But the airline’s booking policy is important to know about if you’re traveling to Europe, since it adds fuel surcharges to one-way flights that originate there. 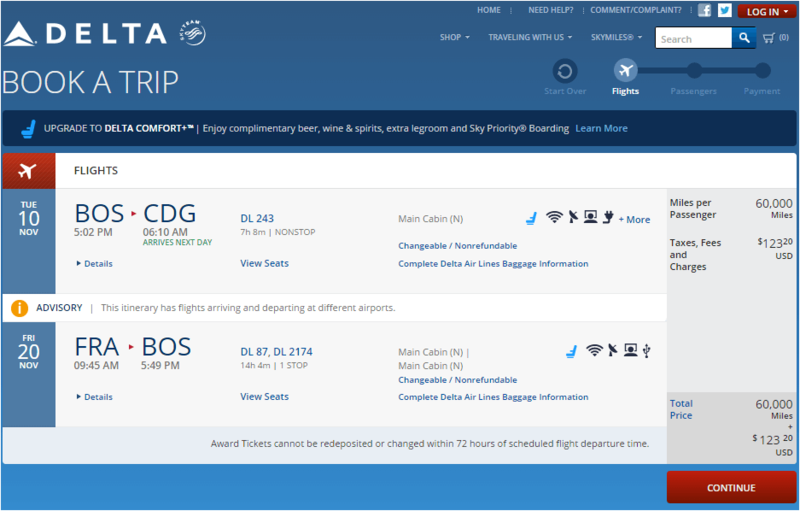 All three of the major U.S. airlines’ frequent flyer programs—American Airlines AAdvantage, United MileagePlus and Delta SkyMiles—are based on one-way award tickets, so normally you can buy two one-way tickets or a roundtrip to your destination for the same price. That means that you can buy two one-way tickets and build an itinerary with an open jaw without paying more. United allows a stopover and two open jaws per round-trip award ticket without any additional cost, so there are a lot of booking options if you’re flying with them. American doesn’t allow stopovers, but you can simply book two one-way tickets for the same price as a roundtrip and take advantage of an open jaw. For example, if you want to go from New York to Paris with a return from Berlin to New York, you can easily buy two tickets: Boston-Paris and Berlin-New York. Though this is theoretically also true of Delta, there are some situations that you’d be charged more fees if you book two one-ways instead of a roundtrip. Thankfully, Delta’s round-trip award tickets do include a free open jaw, so you can book your flight as a roundtrip with an open jaw instead. But first, let’s take a look at what can happen if you book two one-way award tickets. 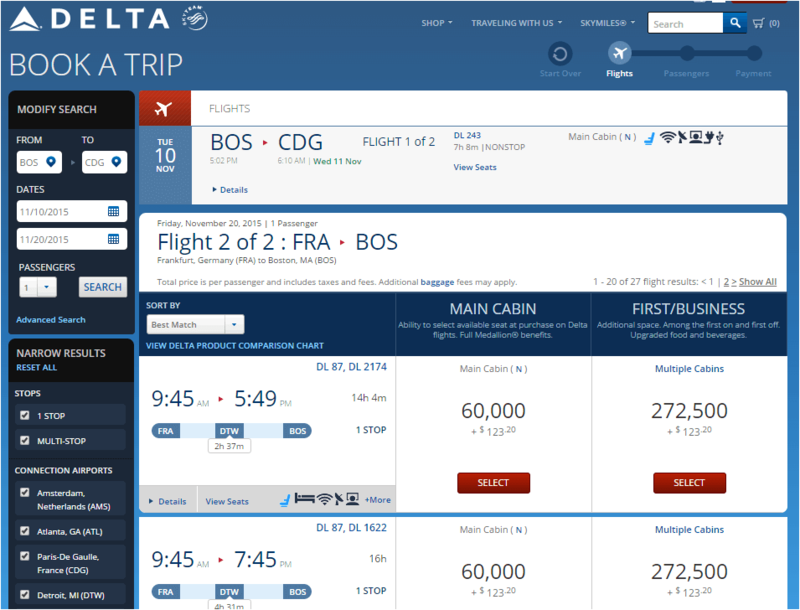 Say that you want to fly from Boston to Paris, and return from Frankfurt. You can travel by train between Paris and Frankfurt, which would be an open jaw. So far, so good. 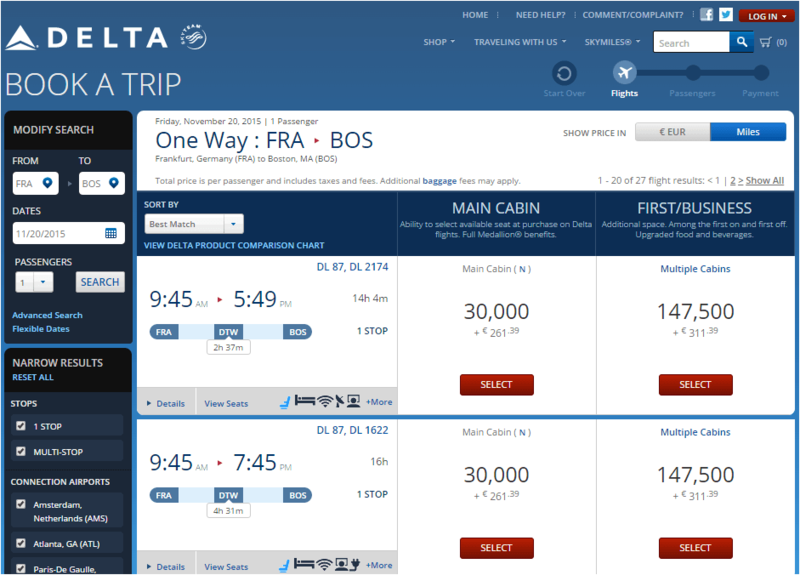 At 30,000 miles, the flight is half the price of a round-trip award flight to Europe, and only $5.60 in taxes and fees. 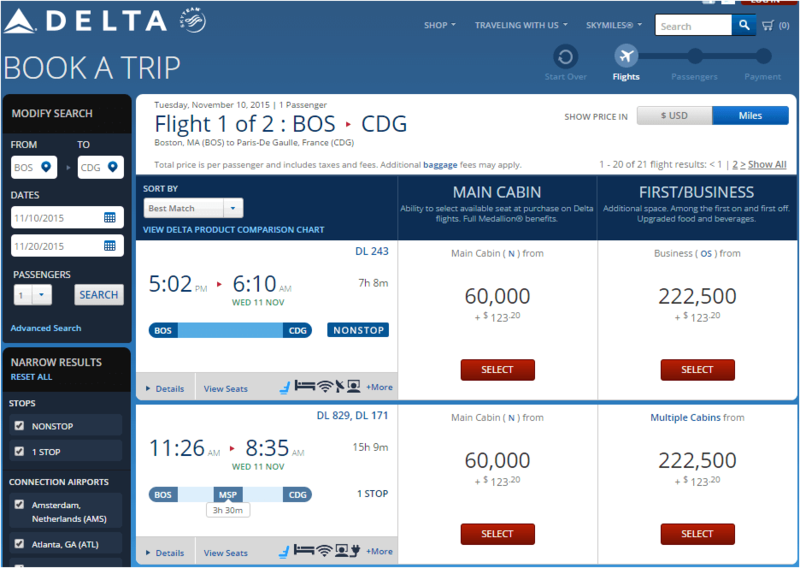 The cost in miles is still half of a roundtrip to Europe, but now you’re paying 261 euros, or about $280. How did that happen? In addition to the roughly $120 you’ll pay in various taxes airport fees, Delta adds a fuel surcharge to flights originating in Europe. For this flight, that’s about $160. Most European airlines do the same thing, though American and United don’t. It’s hard to avoid the $120 in taxes and fees, most of which comes from departing from Germany, but there’s a way around that Delta additional fuel surcharge. Just book a round-trip ticket, and use the free open jaw instead of buying two separate tickets, and you’ll save $160. 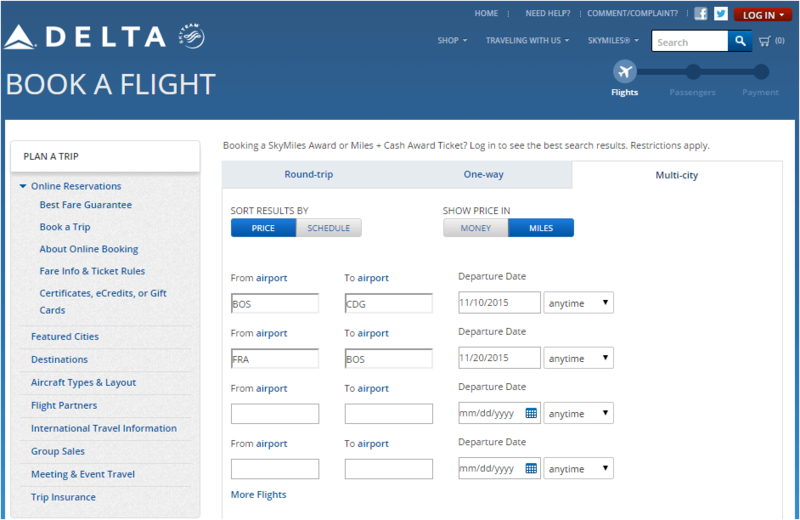 Enter your flight information, and click “find flights” at the bottom of the screen. The round-trip flight costs the same miles, but it’s $160 cheaper. 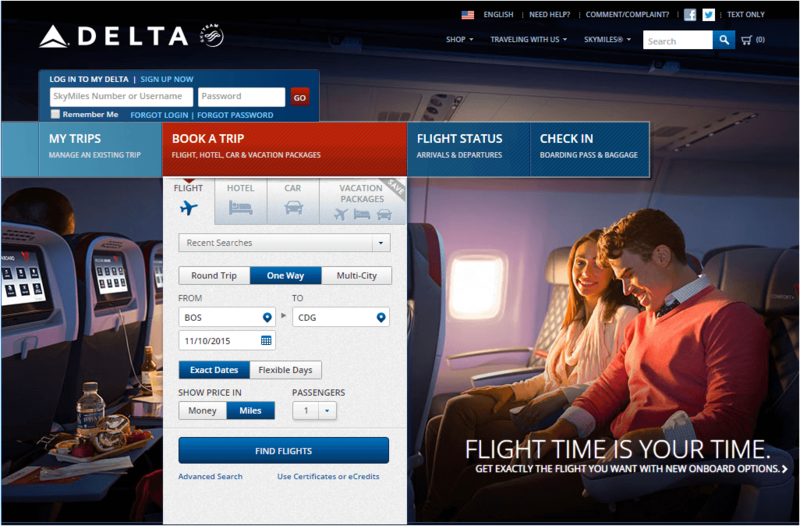 Delta only collects fuel surcharges on flights originating in Europe. If you’re flying from other parts of the world, you can book two one-ways without paying extra.